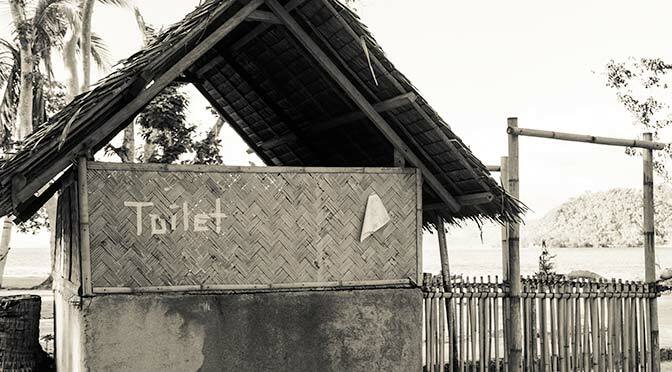 Toilets in the Philippines are known as comfort rooms. They are quite unique and VERY basic. I do not know where the name originated, but my logical conclusion is that it’s a room we can physically take comfort in. That’s just a guess, since these rooms are not what many would consider “comfortable”. These comfort rooms are usually small with a low-to-the-floor toilet. There is almost never a seat. 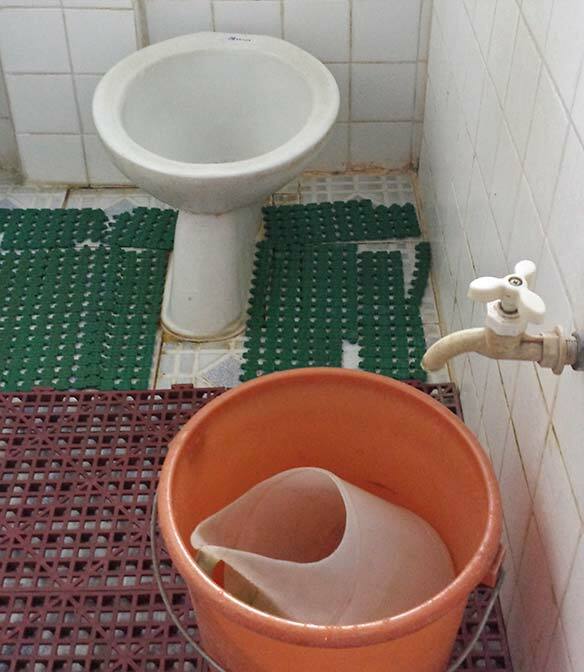 In addition to the toilet, there is a spigot with a plastic bucket of water under it, and a tabo (a huge ladle, plastic jug, or dipper) that you use to manually flush the toilet (by pouring water into it). 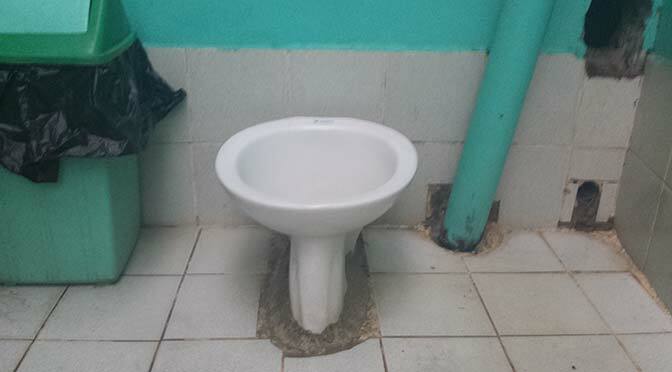 This unfortunately leaves the toilet itself, rim, and surrounding area wet from splashing. There is rarely toilet paper, soap, or towel provided to help with hygiene. Many Filipinos will just scoop into the bucket of water with their tabo and rinse off. This requires technique and skill to have soap (if desired) in one hand, and tabo in the other, in order to lather and rinse to get thoroughly clean. Personally, I have not adopted this method yet, but do see the benefits of not using toilet paper. Just ask yourself this: Would I clean my dishes with wads of dry tissue paper and expect them to be clean? Of course not. So why should a part of your body that gets far dirtier be cleaned this way? Food for thought. A bin is [usually] provided, as toilet paper (if used) is never to be put in the toilet bowl, as it causes clogging, chaos, and mayhem. Take note and remember to always carry necessary toiletry items (like toilet paper) that you require, with you! Lastly, I leave you with a few rules, commonly posted near or inside the comfort rooms. All waste should be put inside the bin, except human waste. Spitting is allowed only at the toilet bowl and flushed after, to prevent virus spreading. 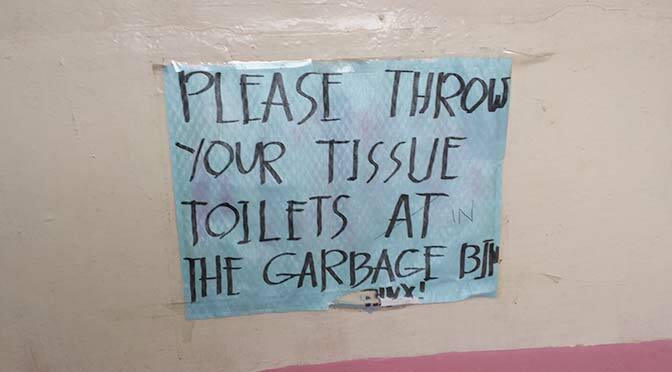 Avoid blowing your nose inside the comfort room. No standing on the toilet. Love the toilet lesson…had to giggle at the phrase “clogging, mess, and mayhem”…perhaps that is what is ailing my septic drain field?